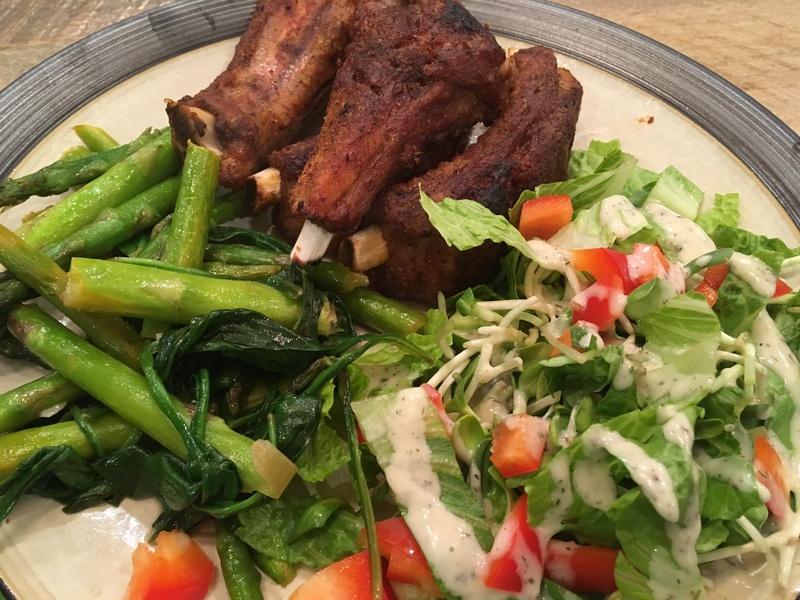 I love fall-apart, well-seasoned ribs just as well as the next carnovorie! But I lack paitience and time for smoking meat. I just buy my smoked meat from BBQ joints who have it down – or visit friends who do a great job smoking their own! But Im always looking for ways to use my Instant pot, and a Pintrest recipe caught my eye from I Breathe I’m Hungry. Im sure the original recipe is great, I actually used the dry rub ratios, but I didnt have time to make my own sauuce. So, I simplified the recipe and these hit the spot! I guess you could say I “cheated” a little by using a bottled sauce, but hey, I have a lot going on :). 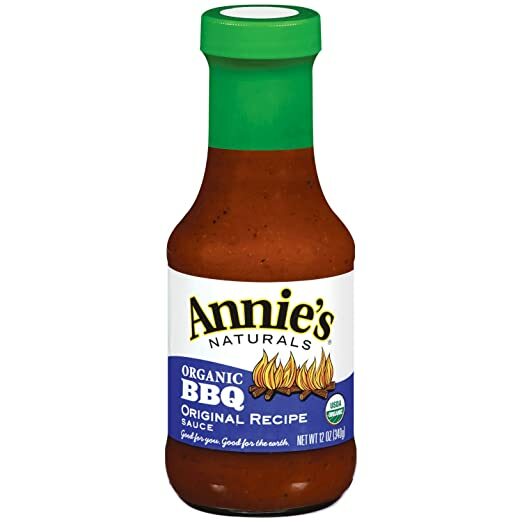 I found that after reading the labels on every single bottle of BBQ sauce in Whole Foods Market, Annie’s Naturals (Original) had hands down the lowest sugar/carbs of any BBQ sauce on the shelf! Bonus – It was actually good too! ~1/4 cup Annie's Naturals Original BBQ Sauce (just need enough to brush the top of each rib with sauce before broiling. Cut ribs into individual pieces. Combine the dry rub ingredients in a small bowl and mix thoroughly. 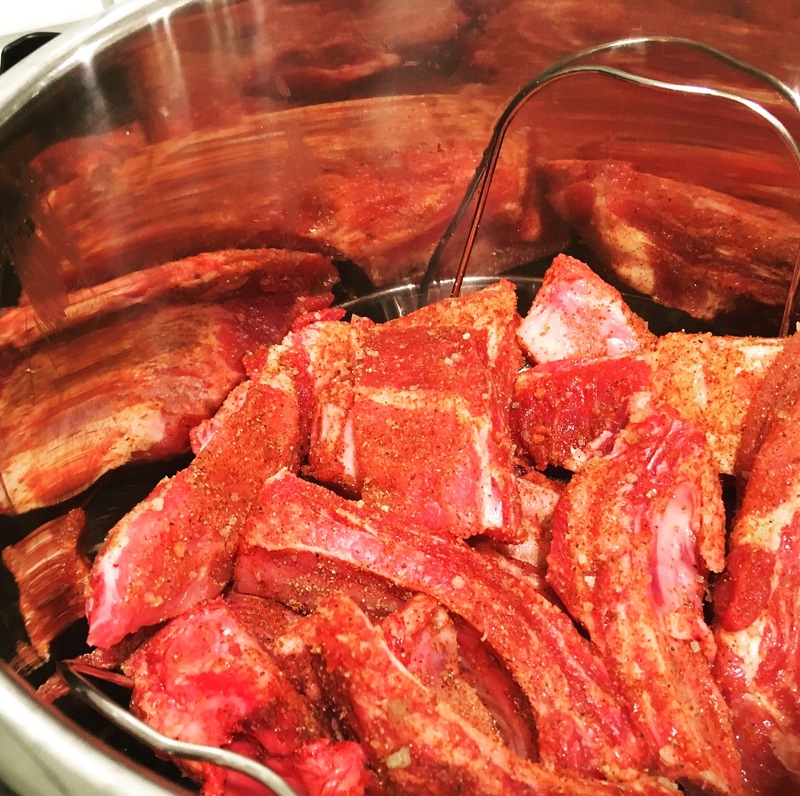 In a large bowl, or using the Instant pot bowl, place the ribs and then sprinkle the dry rub over the ribs. Toss the ribs by hand in the dry rub until each rib is thoroughly coated. 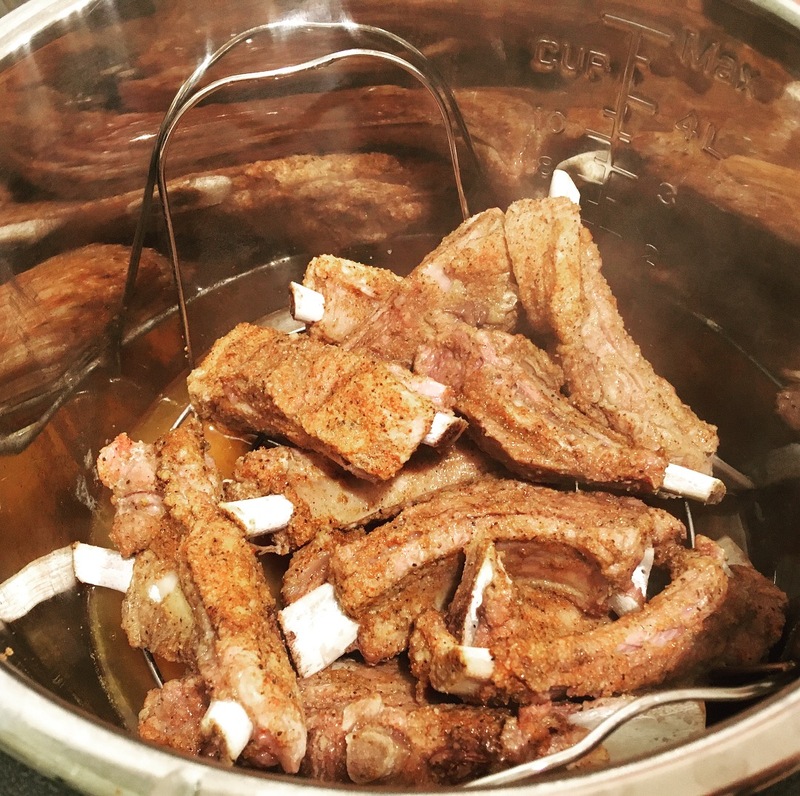 Using the steamer basket of your Instant Pot, place the basket in the bottom and then stack the ribs over each other. Add 1/2 cup of filtered water to the bottom of the Instant Pot. Pre-heat your oven broiler to 400F when only 5 minutes remain on the Instant Pot timer. After the Instant Pot beeps and 35 minutes is complete, release the pressure per the manufacturers instructions. 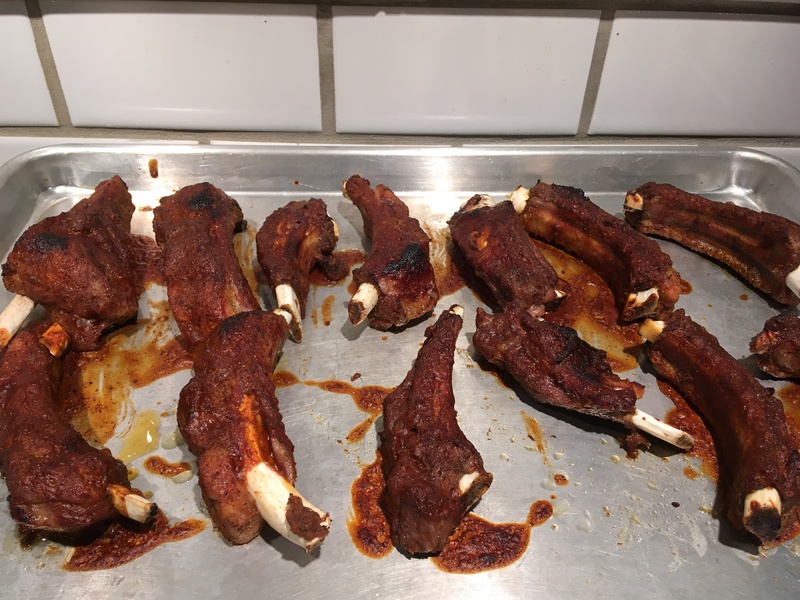 Carefully remove the ribs with tongs and place on a baking sheet. Brush each rib with a little BBQ sauce. Place under a broiler approx 5 minutes or until they crisp up on the outside. Becareful not to cook too long and dry them up. Remove from oven and serve up as desired. In the photo, I served them up with a small salad and sauteed aspargus and spinach. But, these would also pair great with a little homemade slaw for an easy summer meal!